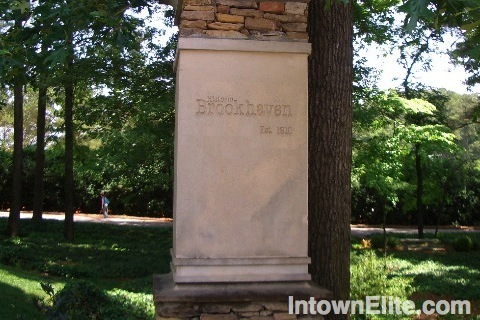 Located at the northeast corner of Buckhead and founded in 1910, Brookhaven was the first community in Georgia designed around a golf course. Though it has long been one of Atlanta's largest neighborhoods, much of Brookhaven has been incorporated into it's own city. Only the portion of Brookhaven that lies in Dekalb county was included in the new city, which has led to the counterintuitive situation that some of Historic Brookhaven proper is not in the city of Brookhaven. The search below displays listings in the entire Brookhaven area. Brookhaven also includes a number of smaller neighborhoods, which can be explored via the links below. You can also see more listings in and around the Brookhaven area by checking out the 30319 zip code.